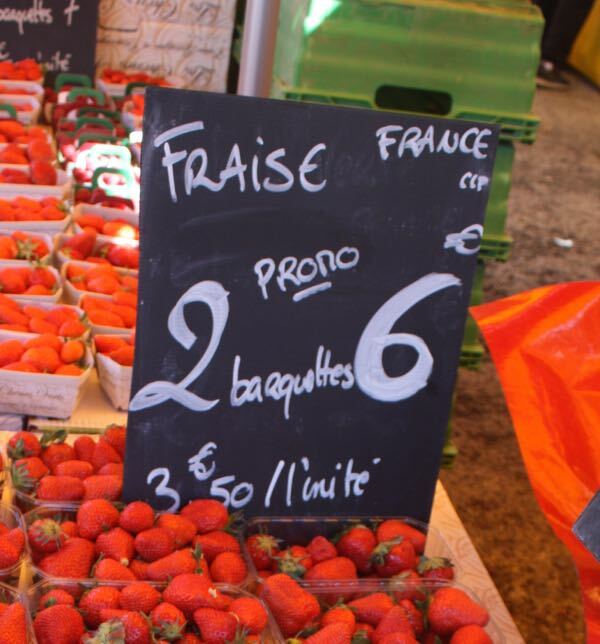 If I had ONE piece of advice when travelling to the heart of Paris, it’s in this post. 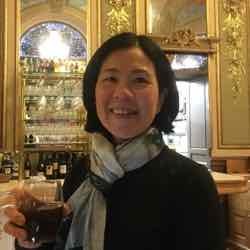 As I get older, I have realized that spending a bit more money makes it easier on one’s joints and that when you are travelling from Charles de Gaulle airport to Paris, going the cheaper way is not always the better way. The main airport in Paris is considered to be Charles de Gaulle airport (CDG) located just northeast of Paris. It handles international and national flights. Orly airport is smaller and is considered the secondary airport for Paris. It is located south of Paris and typically handles more domestic flights. Taking a taxi to/from Charles de Gaulle Airport To Paris city centre can be expensive and you might hit a lot of traffic coming into the city. 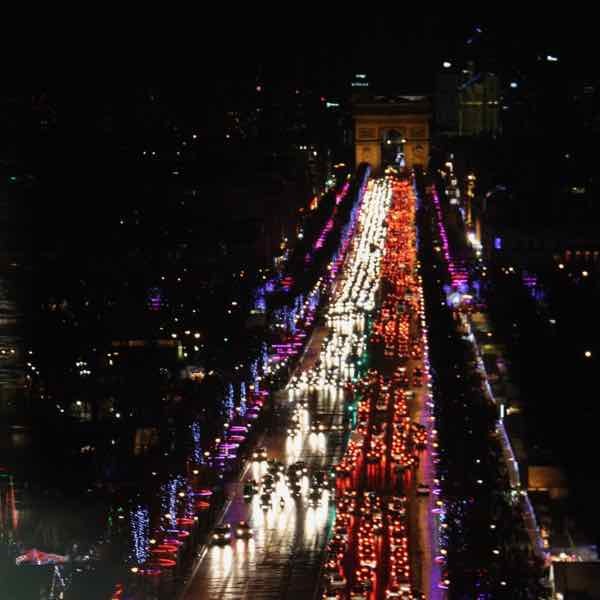 Lord help you if you’re on the Champs Elysée. Update: While the fare could run up to 65 Euros or more, there is now a cap on the taxi fare: 50 Euros for the right bank and €55 for the left Bank. When I was younger travelling to France, I wanted to save money and felt I could handle anything. 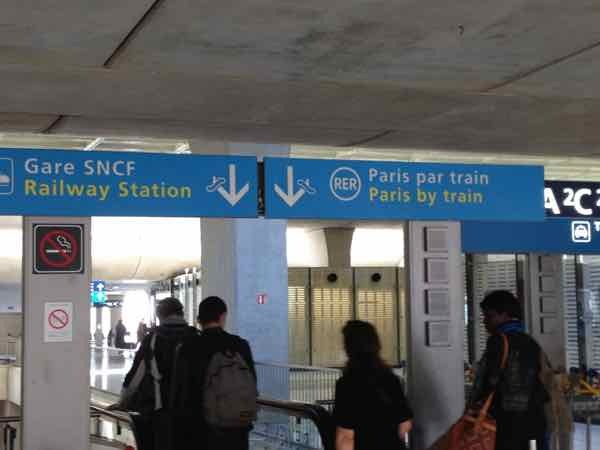 I would arrive at Charles de Gaulle airport and hop on the RER train (located at CDG Terminal 2). There were escalators to take me to train platform and there were no stairs to climb to get on the train so, so far, it was pretty seamless. I would then arrive at Gare du Nord, go through the gates and transfer to a line on the Paris Metro. This required going up and down flights of stairs. Elevators? Not always! And if there are, good luck in finding them. 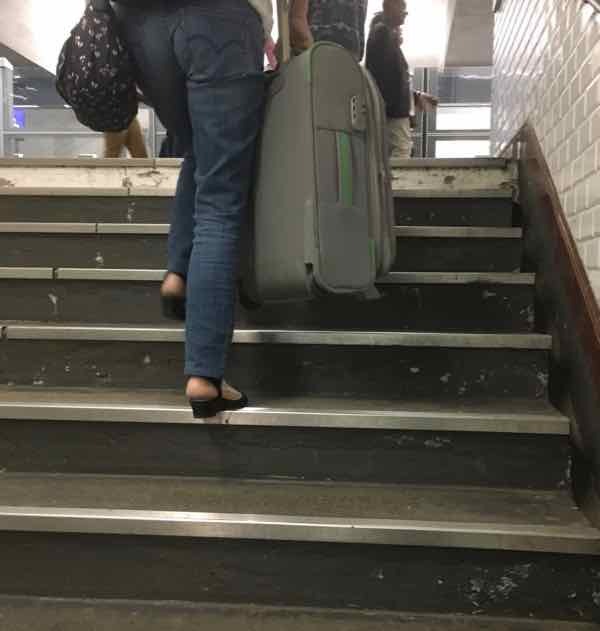 It is not a pleasant experience navigating your luggage on the Paris Metro. There’s not a lot of room, particularly at rush hour. Climbing flights of stairs in the Paris Metro. 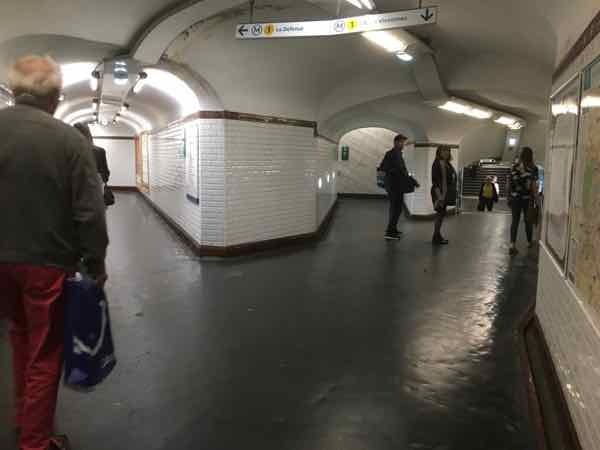 Arriving at St. Michel Metro station, I would have to climb more stairs (many flights of stairs) and go through numerous tunnels to transfer to the next metro station. So as you can see, there were many stairs, many connections, and if it were not for the 23 pound suitcase it would have been a breeze! By the time I arrived at my apartment or hotel, I was drenched in sweat and exhausted, but being young, it wasn’t a chore. I managed. And in my mind, it was the least expensive way to get into the city. Many years later, I’m down to doing half-marathons (21.1 km) rather than full marathons (42.2 km) as the muscles and joints can’t take the training. And the ol’ body can’t take lugging a suitcase up and down stairs either, especially when there are many flights. I admit it. I’m getting old. But wiser too. RER B (Blue line) to Gare du Nord and then take a taxi or Uber. Sure, it’s a few Euros more, but a much more pleasant experience. Arrange for a shuttle or ride-sharing service to take you from the airport to your hotel. For shuttles, it might be necessary to arrange this in advance. Shuttle prices start at about 18 Euros per person but keep in mind that this is a shared ride. When I took a shuttle recently there were 5 passengers and the driver dropped all of us off at Terminal 2A yet some of the passengers’ flights were at Terminal 2E and 2F so they had a bit of a walk to their terminal. I was surprised the driver didn’t take them to their Terminal. UberX is about 45 Euros and Uber Pool is about 35 Euros, depending on your drop off location. All prices depend on your drop-off location. I would say the biggest reason to avoid taking the Metro from CDG is the chance that there is a strike by the Paris Metro. Sadly this has happened to me a few times. Strikes are common in France so there is a good chance you may encounter one during your stay. 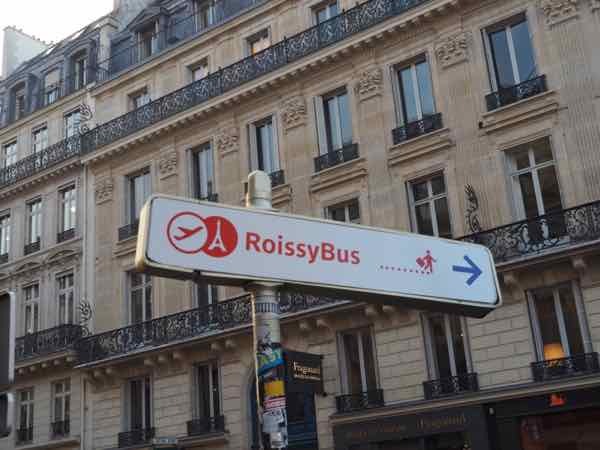 Taking the Roissybus or Le Bus Direct eliminates any worry about getting to the airport during a strike. 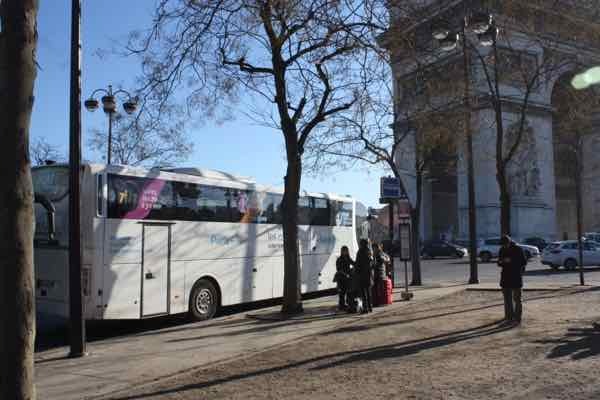 The moral of the story is: the cheaper way into Paris is not always the better way. 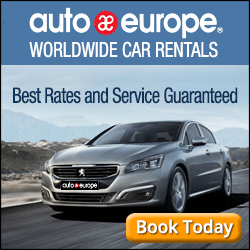 Getting from Charles de Gaulle airport to Paris doesn’t have to be expensive, not does it have to be a pain. Get to your hotel in Paris with the fewest connections and stairs. Your body will thank you. The Dress. 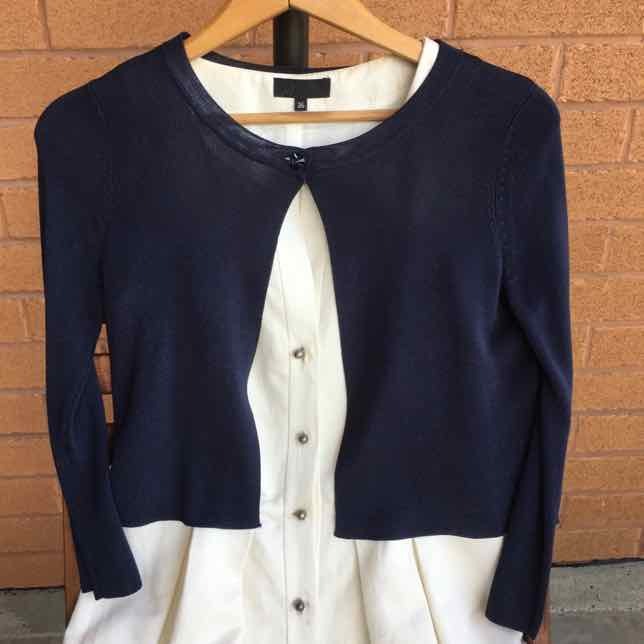 The Sweater. The Argument In French. I can’t agree more with your statement that the cheapest way is not always the best way. I find, as we get older that avoiding frustration and wasted time is a major goal of ours when traveling. Thanks for the helpful tips Jan – I’ve Pinterested them so they’ll be handy when we visit! You’re welcome! 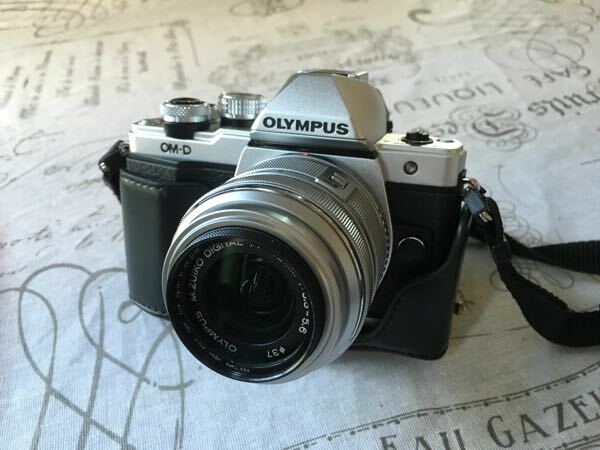 I’m always looking for ways to make my travelling easier (and less demanding) as I get older! There is now a cap on the taxi charge into Paris. €50 for the right bank and €55 for the left Bank. No more worries at being stuck in traffic and having the metre keep running. Thank you for mentioning that. I’ll update my post with the information. It was nice reading this blog. I’ve traveled to Paris 5 times and have done most of those transfers to the city. I may never visit there again. But it was enjoyable the visits I did have. Bet you will go back! Good info Jan. I’ll read the rest of your posts. My husband and I will be going to Paris for the first time in June. 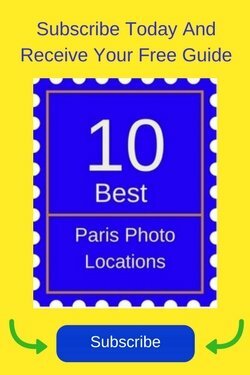 Would you say that your post also applies to going to CDG from Paris? Have you personally taken all the options to CDG? I will need to be at CDG at 8:30 am on a Wednesday which is during rush hour. 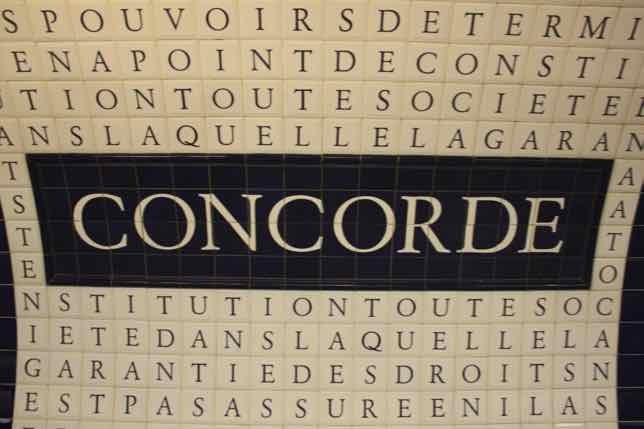 Would Le Bus Direct be just as reliable as taking RER B to get to CDG on time during the rush hour? I’m curious because I read reviews of Le Bus Direct arriving up to 45 minutes late and getting stick in traffic. Thank you for your comment. I am currently in Portugal and then heading to Paris and wanted to reply to you now. I’ll post the reply in my website when I get home. I may also email you again if I gain any other ideas. In answer to your questions I have used all of the options listed. I have never been delayed when I’ve taken the LeBusDirect, however I haven’t taken it for a couple of years. 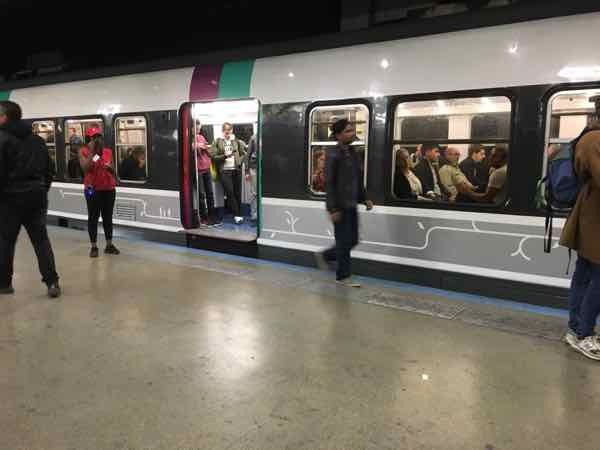 If you are staying near Gare de Nord then I would say definitely take the RER; however if you aren’t you need to be aware that unless you take a taxi there you’ll be taking the Metro which has lots of stairs. Not fun with luggage. There aren’t always escalators. 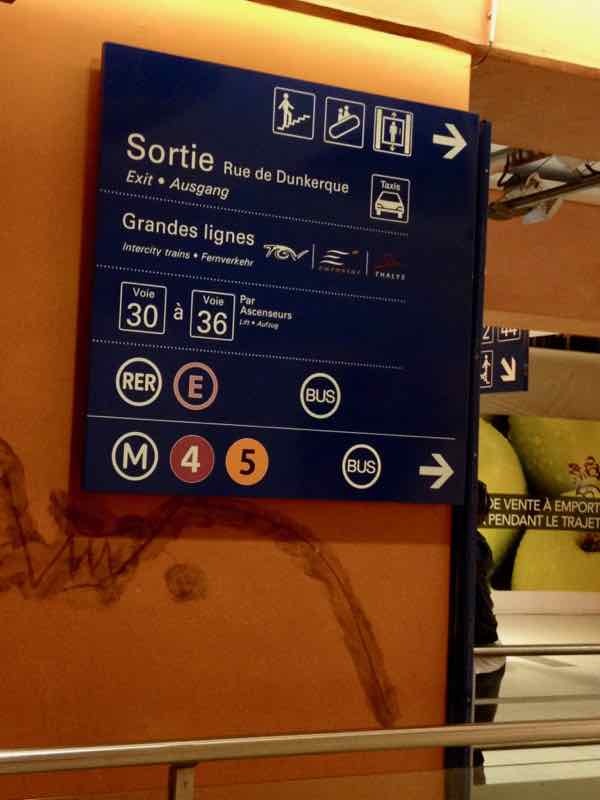 I’ve attached another post I recently did re: getting to CDG. In the past few years, to avoid the panic of not getting to the airport on time I stay at a hotel near the airport the night before —one bonus:it’s always been cheaper. If I needed to be at the airport for 8:30 I’d stay at the airport the night before. If this is not an option take a taxi to Gare de Nord then take the RER. Just be sure there aren’t any strikes!